It’s VALENTINE’S DAY! I think desserts are the best part of any holiday. Some may disagree (helloooo Christmas presents!?) but I stand by my statement. Christmas cookies, birthday cake, Reese’s peanut butter cup Easter eggs… need I say more? I usually associate Valentine’s Day with boxes of chocolate and have lots of happy Whitman’s Sampler memories. 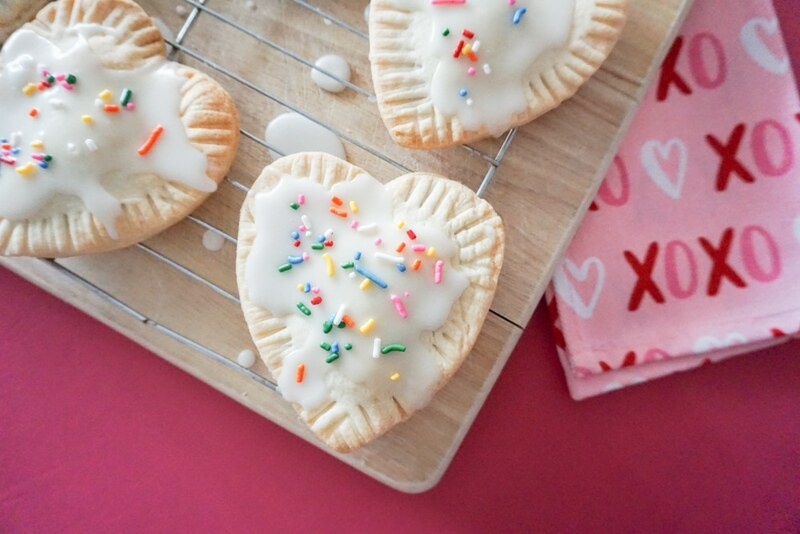 This year, I did get my box of chocolates, but we also had some yummy homemade pop tarts! 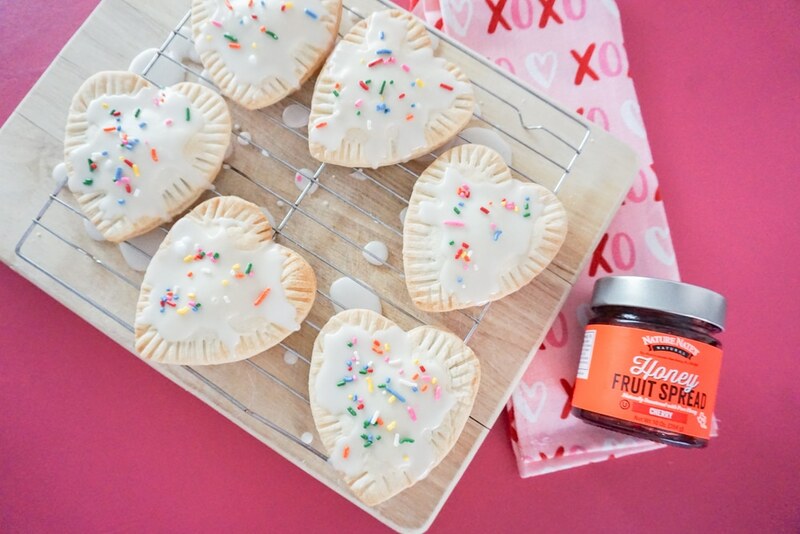 I was sent Cherry Honey Fruit Spread by Nature’s Nate and used it in this SUPER simple recipe. 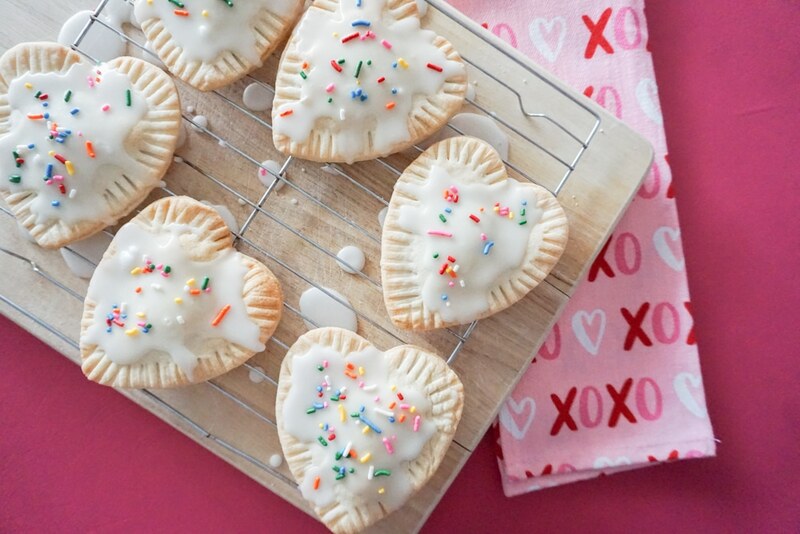 You can make this homemade pop tarts recipe with only TWO ingredients. Step 1: Bring the pie crusts to room temperature then unroll. 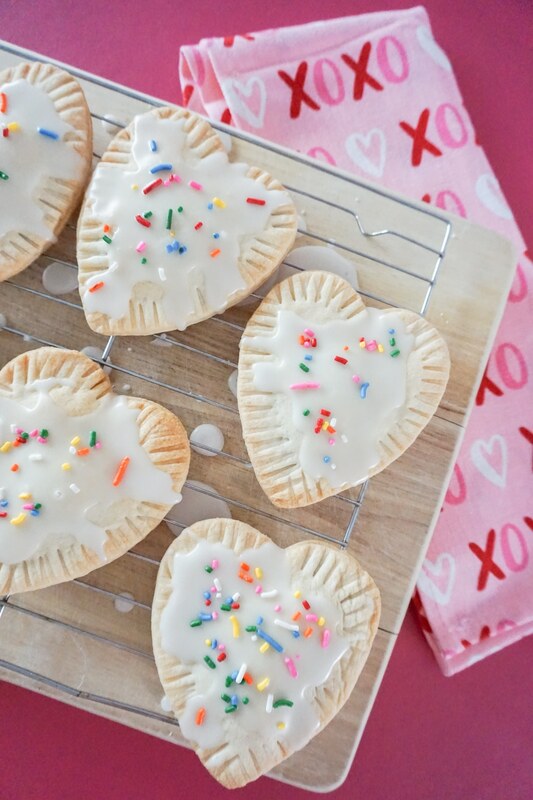 Step 2: Cut out hearts with your cookie cutter. 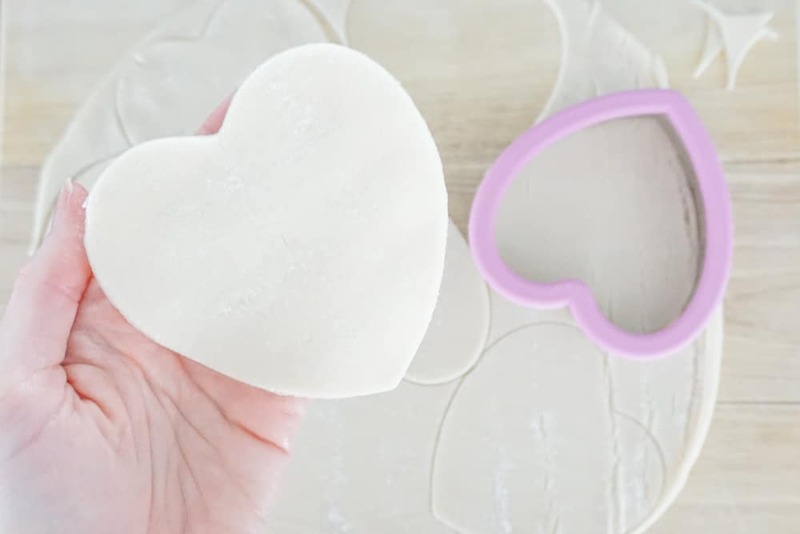 Step 3: Add a spoonful of fruit spread onto one of the cut out hearts. 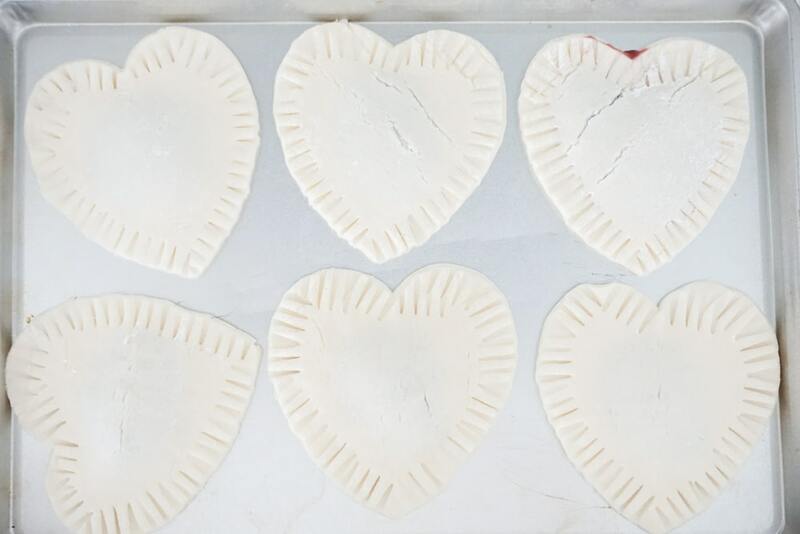 Step 4: Add another cut out heart on top, press into place, then use a fork to seal the edges. 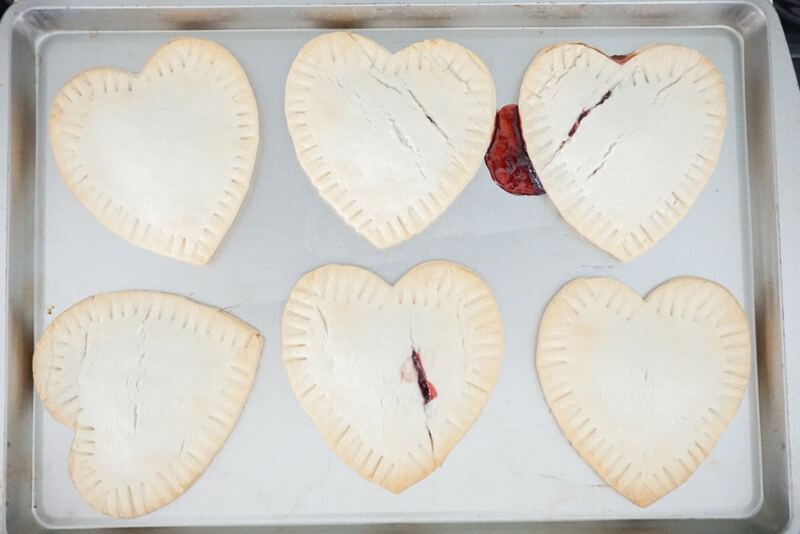 Some of the filling may sneak out while baking so do your best to seal them well! Step 5: Bake at 375 for 12-15 minutes until golden brown. For the icing, mix together a cup of powdered sugar and 2 tbsp of milk. You may need to add more or less to get the right consistency! You don’t want it too thick but you also don’t want it too runny. Stir until it’s thoroughly mixed then place a dollop onto each cooled homemade pop tarts. Let it spread over the top and off the sides. I placed mine on a cooling rack so the icing could drip off the sides. Next immediately add your sprinkles! The icing will harden after a few minutes and keep your sprinkles in place! Some may want these for breakfast; we preferred ours as an afternoon snack with a glass of milk. Fair warning: the crust is super crumbly and it’s hard to eat only one!